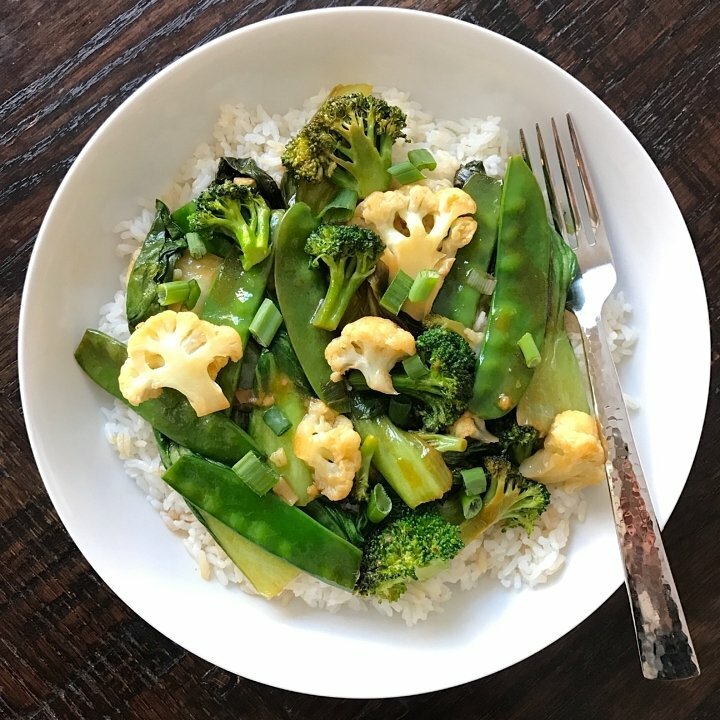 Our favorite stir fry with our favorite green veggies! I made the family’s all time favorite stir fry sauce with bok choy, snow peas, broccoli and cauliflower. I also made a pan of chicken for the boys with the same stir fry sauce. Recipe adapted from Cooking Light, it’s vegetable broth, dry sherry, gluten-free tamari, sesame oil and corn starch to thicken it. 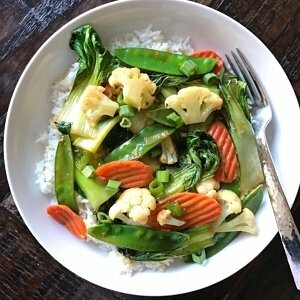 This stir fry is super quick & easy and has become a weekly request!